Fall is back-to-school time, and with this gathering of recent books, we explore the educational role of libraries. 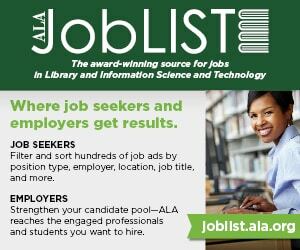 Public libraries have long been viewed as a key component for adult continuing education. As our economy has become more information based, information literacy, in turn, has become a key life skill and a necessary building block for ongoing learning. In Lifelong Learning in Public Libraries: Principles, Programs, and People, Donna L. Gilton explores the principles of information literacy instruction and provides a framework for implementing programs in public libraries. This is a thoroughly researched overview, providing the foundation to develop a strategy rather than the practical details needed to execute it. Although targeted for the academic library, Monty L. McAdoo’s Fundamentals of Library Instruction examines the basics of a library instruction program and presents concepts that can be applied in many types of libraries. 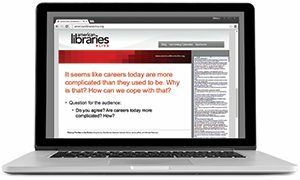 With libraries being transformed from primarily print-based material to digital collections, librarians need to provide instruction in the use of all types of information and information resources. McAdoo covers models for library instruction programs, the challenges of teaching, and delivery mechanisms, along with a discussion of the issues of assessment and indicators of effectiveness. Where Gilton provided the “why” and McAdoo the “how,” Scott Lanning presents the “what” in Concise Guide to Information Literacy. This is not a guide for the librarian on how to develop a program for information literacy; rather, it is a sourcebook for the student to use when undertaking research, or for the public library researcher to use as a refresher for the scholarly process. The book includes the nature of information and where to find what is needed, whether in a catalog, a database, or on the web; the range of library resources available; evaluation of the research process; and how to ethically use—and not misuse—information. Embedded Librarians: Moving Beyond One-Shot Instruction is a collection of essays, gathered and edited by Cassandra Kvenild and Kaijsa Calkins. Embedded librarianship is a model in which the librarian works closely and collaboratively, over an extended period of time, with a nonlibrarian group—a class, an academic department, a functional unit in a company—toward an information-resource or information literacy goal. In distance education and online course models, the embedded librarian participates in the course, providing information resource guidance at appropriate points, in collaboration with the instructors. The essays provide descriptive background along with case studies. As might be expected from a third edition, Information Literacy and Information Skills Instruction: Applying Research to Practice in the 21st Century School Library by Nancy Pickering Thomas, Sherry R. Crow, and Lori L. Franklin is a thorough exploration of information literacy and library instruction. The authors review the evolution of school library standards through the current AASL Standards for the 21st Century Learner. Using research, they present the key elements of the information search process and how to teach that process to developing students. Finally, as we implement library instruction programs, we are continuously learning to teach. Allen N. Mendler’s When Teaching Gets Tough: Smart Ways to Reclaim Your Game is intended for the classroom teacher, but the tips and strategies offered may be useful in the library instructional setting as well. Is God Really a Librarian?